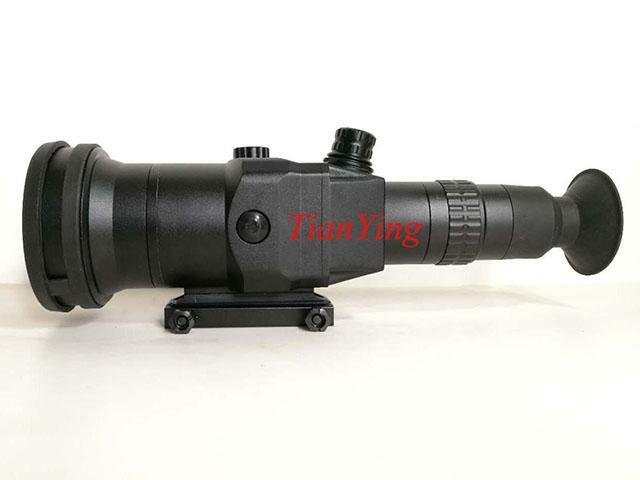 China TianYing T90 1200m sniper thermal imagin sight rifle scope allows .50 caliber snipers to recognize man-size targets in excess of 1,200 meters, long-range optics coupled with an HD display provides crisp imagery, and portrait orientation compensates for bullet drop at extreme ranges. The thermal sight utilizes a fixed focus f1.0 fast athermal lens for brighter and sharper images. Optimized for medium and long range sniper weapons, effective on all weapons from carbines to .50 caliber bolt action sniper rifles. The device features very good solvable reticle movement after sniping rifle shoot, but only a turret can complete all functional conversion and adjustment operations. 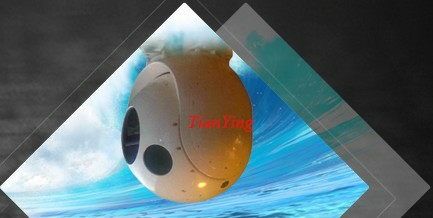 1, High sensitivity long wave thermal imaging, combine TianYing company's software that can see target's details, such as person face, animal face. 2, Fixed focus fast 75mm f1.0 athermal lens. 3, 1280x1024 HD OLED display. 4, Only a turret can complete all functional conversion and adjustment operations, such as preset operating configuration, electronically programmable standard mil-dot rangefinder crosshair reticle etc. 5, Engage targets at ranges within 1000 m, such as commanders, snipers, observers etc. individual important alive object, in day night all conditions, including total darkness, through smoke, fog, and most obscurants. 6, Engineered for battlefield use, successfully tested on weapons up to and including .50 ca. 8, Very good solvable reticle movement thing after sniping rifle shoot. 9, Mount quick detach and return to zero repeatability. 10, Normal 2 years -3 years of trouble-free. 1. Engage targets range: 1200m can see(recognize) moving' man two legs. 2. 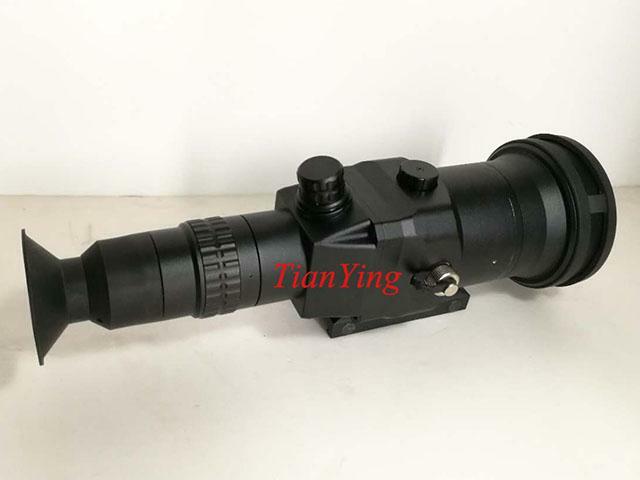 Accuracy reliability: Very good solvable reticle movement after sniping rifle shoot. 3. 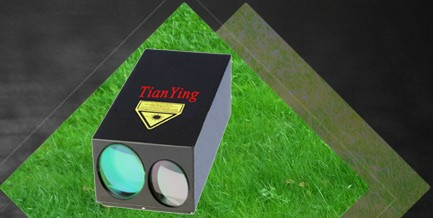 Reticle type: Electronically programmable mil-dot rangefinder crosshair. 5. Fits on weapon: 308, .300, .338, .50 etc caliber sniping rifle mainly. 6. Mounting configuration: MIL-STD 1913, quick detach and return to zero repeatability. 1. FPA Formats: ≥ 384 x 288 pixels Uncooled, option ≥ 640 x 480 pixels Uncooled. 2. Pixel Pitch: 17 μm × 17 µm. 5. Effective sensitivity: ≤ 50mK F1. 1. Field of View: ≥ 4.1°(horizontal). 2. Objective Lens: 90mm f1.0 athermal lens with fixed focus. 4. Diopter adjustment, - 4…+ 4 dptr. 4. Operating time with built-in civil batteries10 hours at -10 to +49°C. 2. Image Adjust: Contrast, Brightness, 2x zoom, Polarity and Shutter Notification. 1. 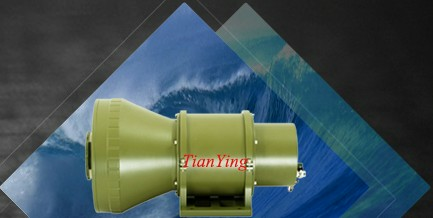 Operating Temperature: -40°C to +55°C , temperature shock 5°/min. 1. Dimensionsz; 320mm (including eye guard) x 105mm x 110mm. Note: *- Effective human target operational distance 1320 meters is given at levels of 94.5% success probability and 2°C temperature difference between target and background. **- Technical information is subject to change without notice. *** -Depending on the region of sale. 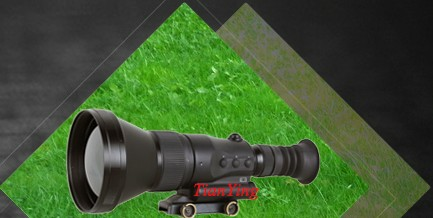 TianYing 1200m sniper thermal sight, at 30m dog and man image size is very and vey clear, at 200m 1.7m high person image is about 1/3 for full thermal weapon sight image high..
TianYing 1000m thermal sight ( thermal weapon sight ) see person at 600m, 850m, 950m without digital zoom, at 600m can clearly see man's two legs; at 850m and 950m can confirm the target if is person, maybe some supplier called recognition, also can see the image is clear and sharp that can compete with many 640x480 chip detector thermal sight ( thermal scope ). 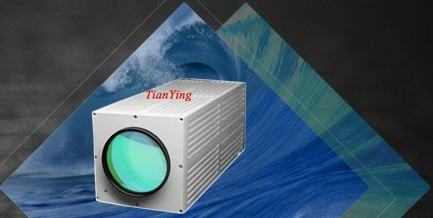 TianYing 640x512/640x480 thermal imaging camera search target. 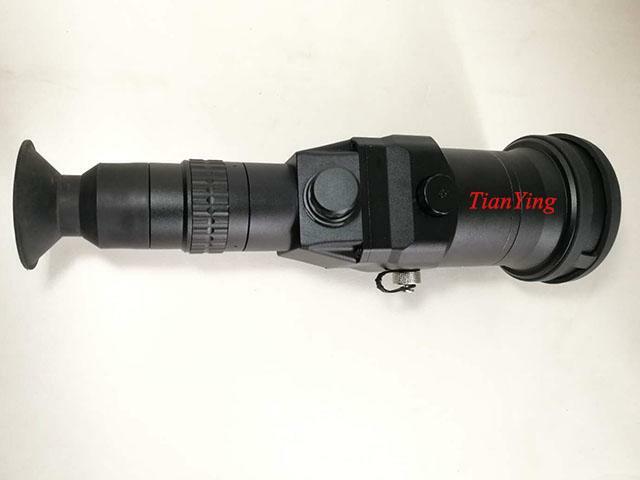 TianYing 640x512/640x480 sniper thermal weapon sight see person target, if use for same detector material, same NETD and same pixel pitch, then 640x512/640x480 image is more clear and more sharper with 320x256/336x256/384x288.